As soon as the winter months are over, most of us are looking for a way to reboot and climb out of our hibernating state. That’s about the same time that we get a look at our to-do lists and start to thing “maybe hibernation isn’t so bad.” Take a breather, relax, and start the spring cleaning with your mind. Here are a few places that will help you escape your responsibilities and air out the cobwebs upstairs before you start your new productive project. While this might seem like a destination that has been beaten to death, let’s give it another chance. 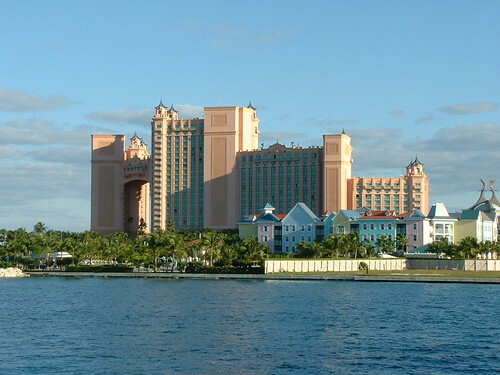 The Bahamas are a beautiful sand, sun, and ocean-filled island paradise. You can get away from the troubles of the world by walking on the crystalline white beaches and swimming in the beautiful sparkling waters. Feeling cool ocean breeze whisk away your troubles and responsibilities is enough to get you in the mindset to revamp the rest of your year. If you find yourself wishing for another relaxing scene, you can explore the inner island landscape or find your way to another island within the cluster that is the Bahamas. Just sit back, relax, and let the island atmosphere wash away your troubles. There are several places in Vermont that can calm the nerves and get you in the right serene mindset, which is exactly why the entire state has made this list. Vermont is the place to go if you’re feeling the need to be at peace with nature and find your inner tranquility. From the lush vastness that is the Green Mountains to the rustic avenues of the Church Street Marketplace of Burlington, you will be able to find your home away from home in these beautifully kept cities and landscapes. There are so many different sites and scenes to embrace in this quaint state, you may want to take a few weeks to just breathe deep and explore everything you’ve ever wanted to know. If you never wanted to know anything, then just feel the mountain trails under your feet and sit back in awe of the brightly colored purple and pink dusk skies. Take a breather and let nature sweep you off your feet. Portland is one the seaports better known for something other than sea: rain, nature, and a laid-back nature. Portland, Oregon is one of the most laid back cities in America and happens to have the quaintness of a small cottage town. It’s is still a big city, so when you feel the need to go walking the streets, exploring the various shops and other native cultural artifacts throughout the town, you’ll still be able to pick up your everyday needs. Portland is nestled in between trees, forests, mountains and culture, lending itself to whatever fantasies your mind can fathom. You will never be stuck between the walls of a building or the hustle and bustle of other more eastern cities. Portland is the perfect place to put your feet up, enjoy the crisp air and have a nice cup of coffee while dismissing your troubles. Maybe the hustle and bustle of the city is something you love. If that’s the case, may you find your solace within the walls of Boston. The town is littered with history, grand gestures of different cultures decorating the city streets, and a relaxed attitude that would make anyone envy its pubs and patrons. Boston is home to several museums, as well as parks where you can still get your fill of the outdoors but return to the busy city once you’ve had your fill. Enjoy the days checking out some of the greatest cultural inheritances the U.S has ever had. When it comes right down to it, you’re the one in charge of your internal spring cleaning. If you find your solace in a place filled with water, kayaks and birds, or you’d rather try your time at the local café, you know exactly where you need to be to make your mind rest its weary feet and kick back just a little bit. Never start a new project while you have the remnants of the old one still lingering in the confines of your mind. Life is far too short to plug away without enjoying the world; so breath easy and take a walk around the globe.